Perhaps it’s a little late in the game for the Woodstock Nation to be looking for signs that their spirit guides are still alive and casting dangerous spells. But in this new collection by acclaimed poet Eleanor Lerman, they surely are—and they’re not ready yet to leave the stage. Lerman gives voice to a generation’s reawakened desire for insight into its own mortality. Many of those who followed the psychedelic path to a social and cultural revolution that never took place are once again longing for clues to the mystery of what now lies ahead for them. As expressed in Lerman’s voice, their yearning to know and to be heard is unyielding and urgent. …shows us that it is the common place that grants glimpses of the mystery of living—truth that lies just beyond the human vision and brain. 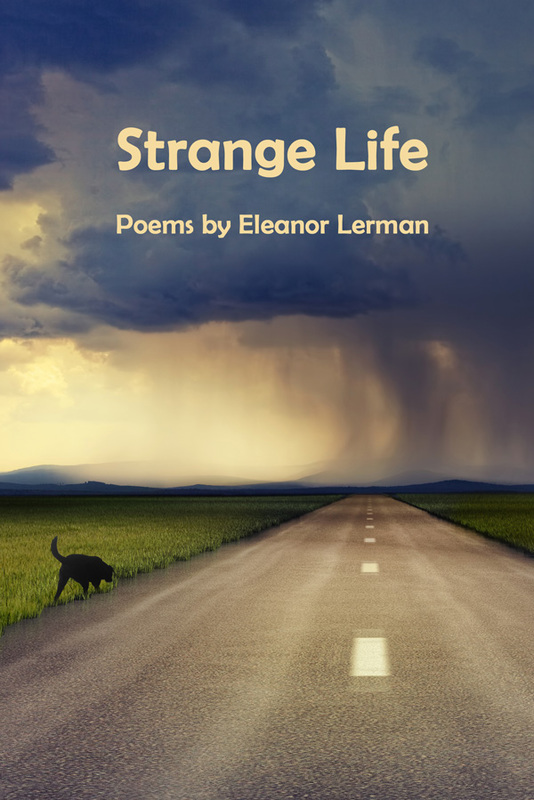 The poems in Strange Life are constructed with terrible and forthright beauty, and its crumbling roads leading into the austere, promising unknown are well worth traveling. The many dimensions in the poems will make readers peruse it multiple times. All the poems are thought provoking and beautifully penned. Lerman’s search for unity, meaning, becoming, and order is breathtaking in its reach.